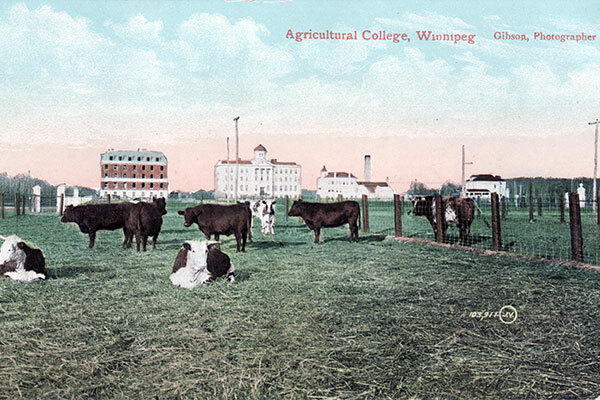 The Manitoba Agricultural College was established in 1905, with the objective of educating students in modern farming practices. The first of its kind in Western Canada, and only the third in all of Canada, the college offered courses in horticulture, agricultural engineering, animal husbandry, farm management, and home economics. The buildings at the college’s first site, at what would later become part of Tuxedo, were designed by provincial architect Samuel Hooper. 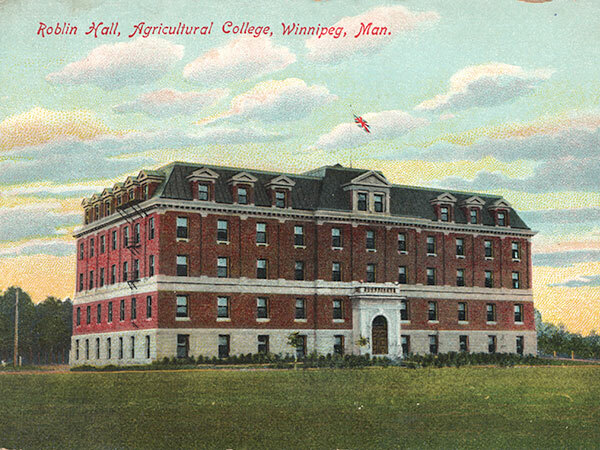 Among them was Roblin Hall, the red brick building seen at the left side of the postcard below, constructed around 1907, and named for premier R. P. Roblin. 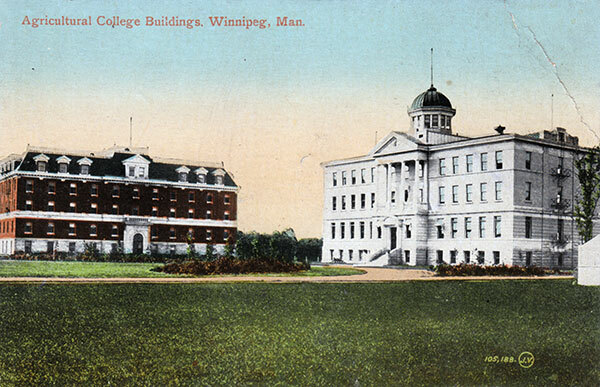 By 1913, the college had outgrown the site and was relocated to a new one in the southern part of Winnipeg, in what later became the Fort Garry Campus of the University of Manitoba. The College was integrated into the University in 1924. 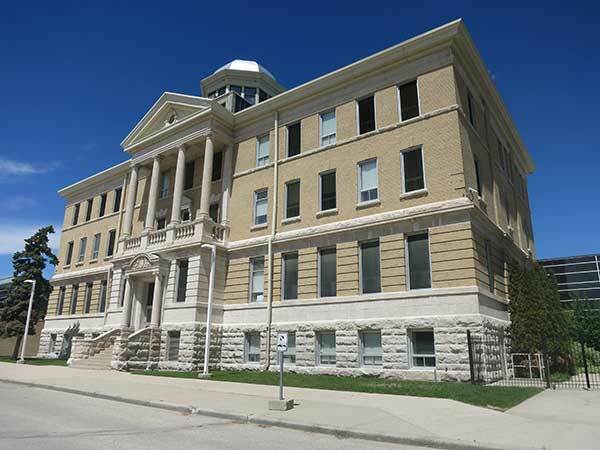 From 1914 to 1917, this site served as home for the Manitoba School for the Deaf, the first such institution in Western Canada. In 1917, it became a military convalescent and rehabilitation hospital for soldiers returning from the First World War. 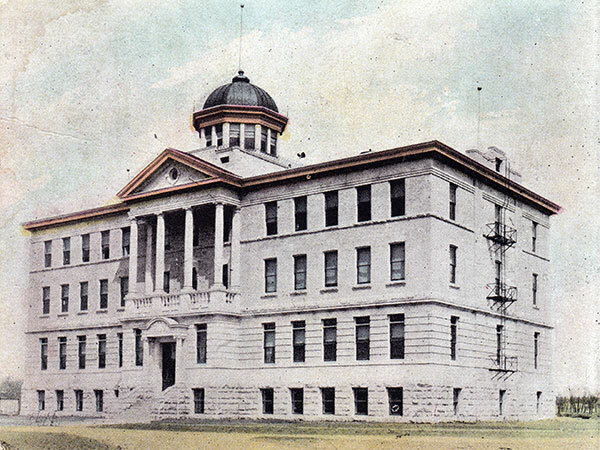 Two years later, the entire complex was taken over by the military and renamed Fort Osborne Barracks, replacing a similarly named facility on the grounds of the Manitoba Legislative. It remained the primary army base in Manitoba until 1968 when new barracks were constructed farther south, at Kapyong Barracks. The property was reacquired by the provincial government and several of the buildings were converted into offices for government departments. The main building was used as a juvenile court facility. Roblin Hall was demolished in the early 1980s, by which time it had been severely vandalized. Late in its life, purple dye for coloring gasoline intended for farm use was stored there, and vandals had made its interior a colorful mess. The campus became a provincially-designated historic site in 1995. The property was sold in 1997 and redeveloped as the Asper Jewish Community Campus of Winnipeg. Plaques at the site erected by the Manitoba Heritage Council commemorate the former Agricultural College, Rabbi Israel Isaac Kahanovitch, and the beginning of the Jewish community in Manitoba. Instructors after 1913 are listed here. Manitoba Agricultural College (Fort Osborne Barracks Site), 139 Tuxedo Avenue, Winnipeg, Manitoba Historic Resources Branch.